NOOOOOOO. Contract renewals are a thing in the K-Pop industry and news about groups either renewing or resigning from their agency are expected every seven years. B.A.P. 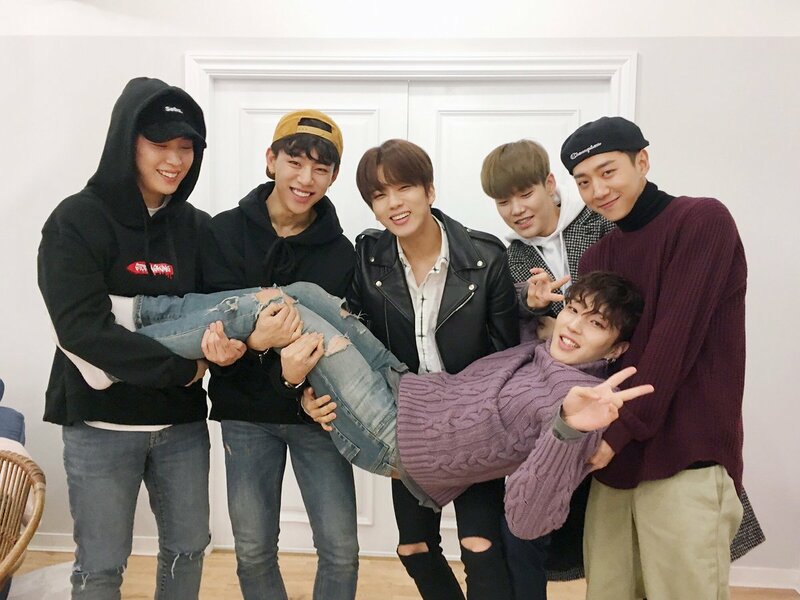 was no exception to this and after seven years of being with TS Entertainment, B.A.P.’s leader and eldest member Yong-guk will be leaving the company. This doesn’t come as a shock because we’re all aware of B.A.P.’s iffy relationship with their agency TS Entertainment. The boys were rookie monsters when they first debuted and they received a great response from fans when they first came onto the scene. Yong-guk’s feature in Song Ji-eun’s ‘Going Crazy‘ definitely caused many to turn their heads and anticipate his debut. His collaboration with Zelo on ‘Never Give Up‘ intensified the anticipation and excitement and lead to B.A.P.’s great response upon their debut with ‘Warrior’ in January of 2012. Many knew them as the group with the same hair color as all six members had blond hair. Lol. B.A.P. were doing amazing as rookies and were even known as EXO’s rivals in 2012. Unfortunately, though the boy group was receiving amazing responses from both domestic and international fans, they were being overworked and poorly paid. After filing a lawsuit against TS Entertainment, the boy group was on a hiatus which did them more damage than good. They also ended up returning to TS Entertainment which made many fans confused and worried. B.A.P. never fully recovered from the hiatus from the lawsuit and since then had been struggling to regain what they had the first few years of their career. It’s unfortunate that their fandom size decreased as the boy group was advocating for themselves. You can even tell that the members themselves seemed to have lost the passion and determination that they once had when they first debuted which is why it doesn’t come as a surprise to me that Yong-guk left the agency. I’m actually glad he left because it was undoubtedly the best decision for him. TS Entertainment hurt him and B.A.P. more than they helped them and it still puzzles me to this day how an entertainment agency can ruin the careers of a boy group that was doing so well the first few years of their career. B.A.P. was truly on another level and singing songs about societal issues that groups like BTS are now known for. B.A.P. had it all and unfortunately the same people who helped propel them to stardom were also the same people who held them back and contributed to their downfall. TS Entertainment was clearly not the best match for the boys and I’m glad that Yong-guk has left. It was obvious that he – out of all the members – was the one who was the least excited and passionate about the idol life. He was no longer as interested as he once used to be and I don’t blame him. I could see how tired, indifferent, and withdrawn he was from everything and instead of being mad or disappointed in him, I just felt so sympathetic and sorry for him. B.A.P. hit it big and could have hit it even bigger. They really had everything. However, TS Entertainment just had to mess everything up for them and not do what they were supposed to do which was pay the boys for the work they were doing. The K-Pop industry has this thing where groups suffer from a ‘7-year jinx’ either through disbandment or inactivity. In this case, the same thing has happened to B.A.P. as well with Yong-guk’s departure, but I personally wouldn’t even call his case a result because of the jinx. Him leaving the agency was the best thing that he could have ever done and I’m glad he left. I even hope the remaining members will leave with him. Yong-guk’s released a few solo’s while he was in B.A.P. so I can still see him doing music even after leaving B.A.P. He’ll be fine either way. Now Yong-guk doesn’t have a sucky entertainment agency sticking onto him so he can do whatever it is that he wants. Freedom at last.